In an effort to use up a little vacation time, and give myself a couple of “me” days, I took the past two Mondays off. Relaxation efforts on the first Monday? A big fat FAIL. So I could cancan can. I watched nervously as the pressure built, fearing the worst (broken jars) as I heard some suspicious noises from inside. Nothing to do but wait. 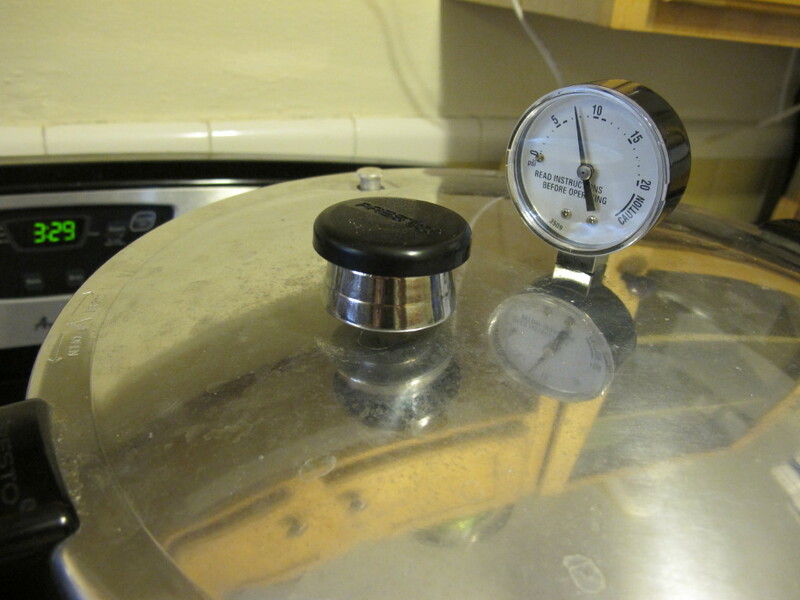 Eleven pounds of pressure for fifteen minutes, them time for it to fully depressurize. 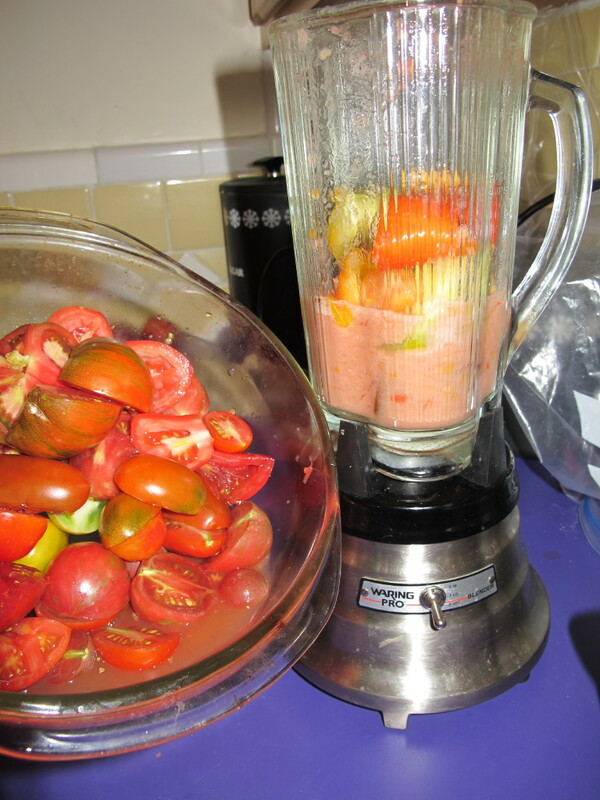 No tomato vomit, i.e., tomato bits floating in the canning water, indicating certain jar breakage. I still held my breath as I removed the jars, since sometimes a jar can crack, but remain more or less intact until moved. All intact! 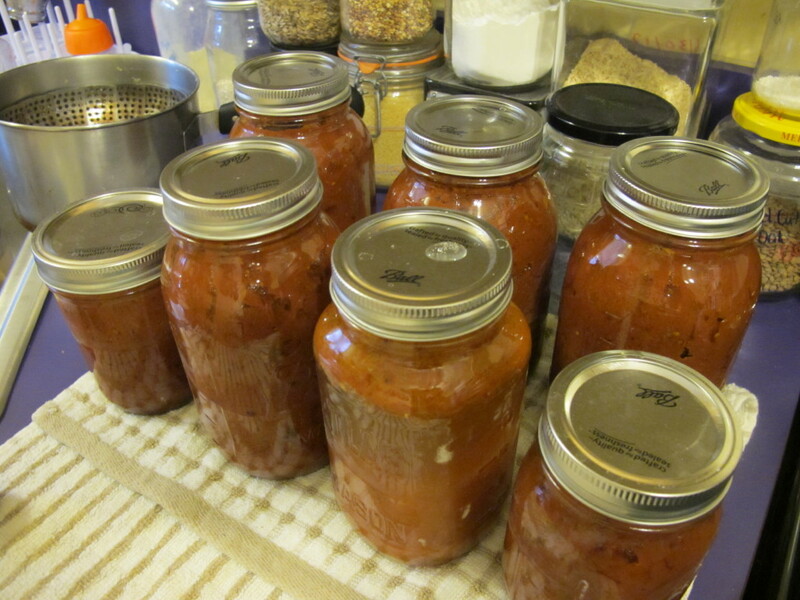 Of course, I kind-of overshot my goal of cooking the tomatoes down enough to only have to do one round (seven quarts) of canning. 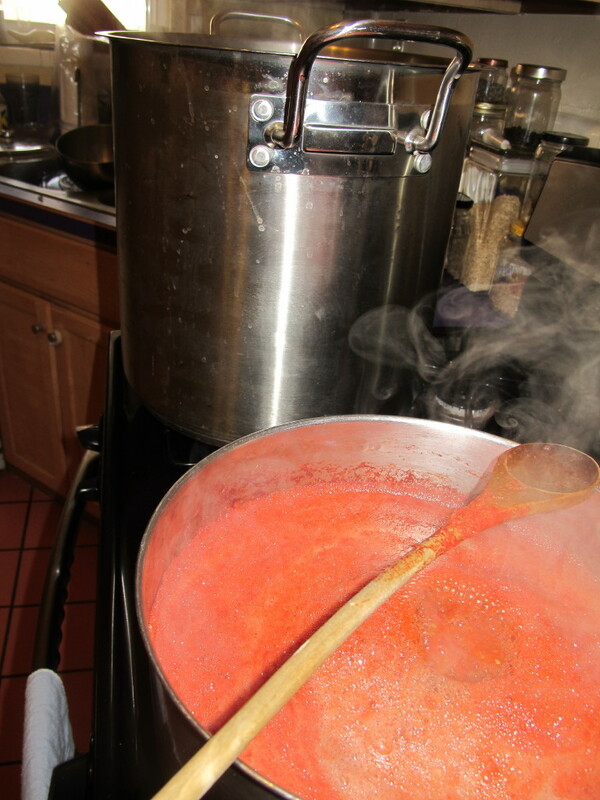 My super thick sauce only yielded five quarts, which I divided into four quart jars, two pint jars, and a pint-and-a-half of tomato juice to give me seven jars for a full load. 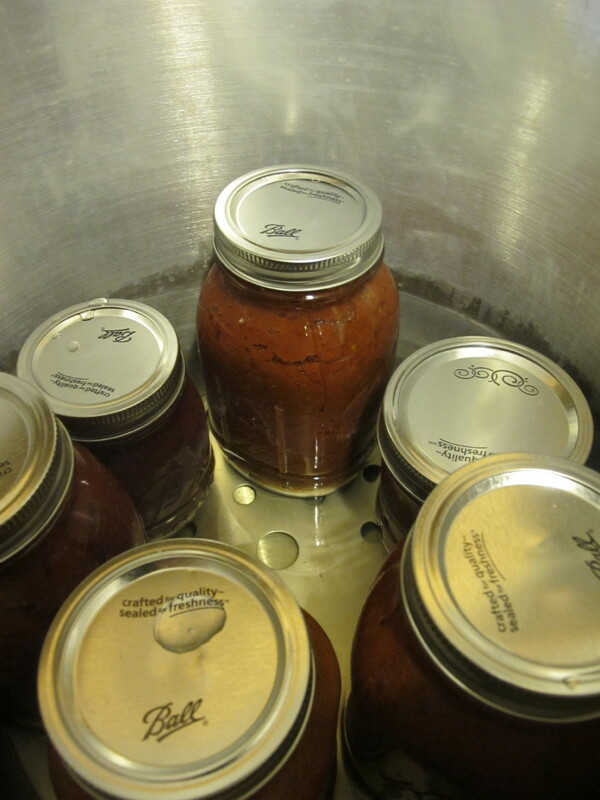 So, relaxing Monday FAIL, but canning SUCCESS. I’ll take it. 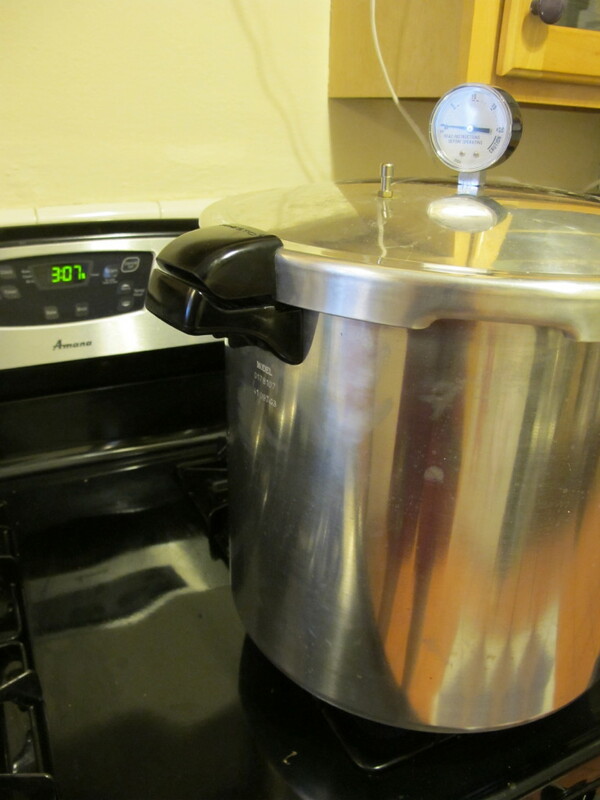 *We bought the pressure canner last summer, right before Pookie arrived. Matthew used to can a few batches of green beans, but I was pretty out of commission during that time. 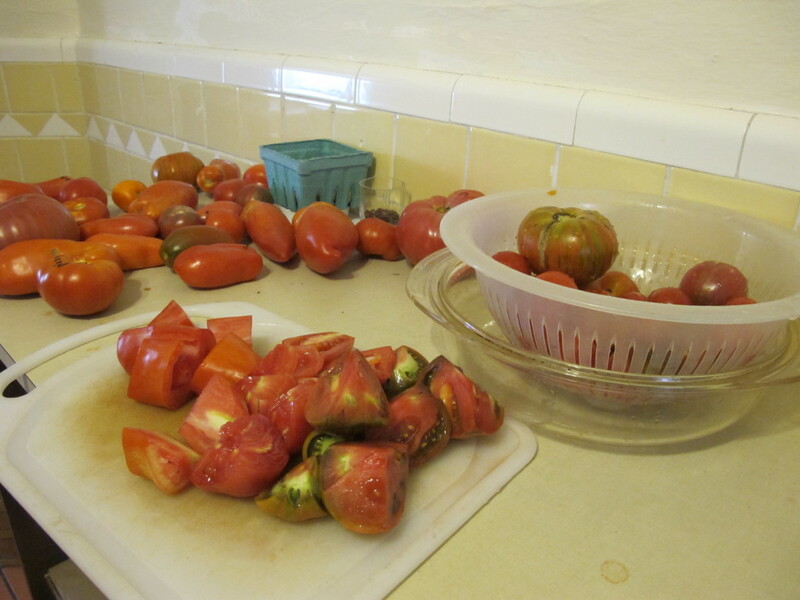 Matthew’s mom handled all of the tomato canning last year (water bath method), and she’s done a ton of it for us already this season. 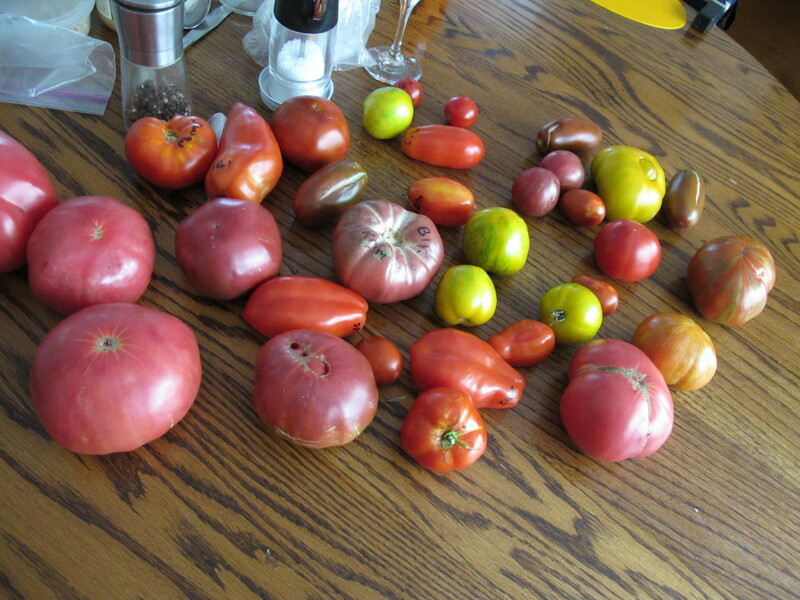 This entry was posted in Food, Garden and tagged canning, eat local, preserving, tomatoes. Bookmark the permalink.